Welcome to CEU By Net's 'Child and Adolescent' Catalog. We Offer Online CEUs in the Assessment and Treatment of Children and Adolescents with Mental Health and Addiction Issues at Various Developmental Stages. CEU Course Content Includes the Professional Risks Associated with Biopsychosocial Assessment of Children and Adolescents, the End of Conversion Therapy with LGBTQ Youth, Adolescent Substance Abuse, Complex Trauma in Children and Adolescents, Bullying, HIV, Suicide, and NAMI's Ethics Protocol Including Children in Schools. You can read the brief overviews of some of our Child and Adolescent Courses below. To see ALL of the courses that we offer in this Child and Adolescent Catalog, go to the bottom of this catalog page and click the + sign next to any course title that interests you. And consider our Annual Subscription for Unlimited CEUs for an entire year, for only $54.95. This course material represents a critical 'sea change' in the understanding of GENDER, specifically as it pertains to LGBTQ children and adolescents. The course is written and published by SAMHSA and takes an in-depth look at the developmental process of gender identity and sexual orientation in LGBTQ youth, from age two forward. This professionally acclaimed publication provides empirically-based strategies and information about effective and ineffective therapeutic practices and supportive interaction with both the youth and the parents as it pertains to sexual orientation and gender identity in youth. Course 5N "Growing Up Girl - Girls Matter!" - a sponsored SAMHSA Slideshow Course. - Understanding how to adolescent brain develops, thinks and processes 'risk' vs. immediate gratification. - The impact of the social media spotlight and contemporary social norms on the self-image and emotional wellbeing of female children and adolescents. Course 2J - Basic Guide to Traumatic Stress, Complex Trauma, and Resilience. This course serves as a basic clinical guide which assists clinicians in identifying strengths and functionality patterns which can contribute to the development of resiliency and emotional survival of trauma - including, specifically, Complex Trauma. The Study Guide has three sections, each of which focuses on a different aspect of trauma and resilience. Course 3C - Beyond the Yellow Legal Pad! Biopsychosocial Assessment of Children and Adolescents and Professional Risk - From Ethics to Practice and Into the Courtroom'. This course may be taken as either an Ethics course or an Assessment course. The course speaks to the legal, ethical, and professional perils in the assessment of children and adolescents - particularly the inherent risks of 'assessing on the fly' without a structured format. The course describes the critical errors that even the most experienced clinicians can make in the assessment and diagnosis of children and adolescents. Course 3H - "Principles of Adolescent SUD Treatment: A Researched-Based Practical Guide." Neurological Development Issues and Essential Family Therapy in Substance Abuse Treatment of Adolescents. Course 6A - Response to Mass Violence and Terrorism. Clarifies the significant difference in effective approach to people following a mass violence or terrorist disaster, depending upon age, ethnicity, cultural factors, religion, and proximity to the disaster. Adults vs. children. Course 2H HIV and SUDs Issues with Adolescents and Families. Two chapters - first addressing therapeutic approaches to HIV positive adolescents, and second, interventions with HIV-AIDS within the context of the family, involving child management and planning issues with infected parents. Course 2D - 'The Ethics of Advanced Directives: Assisting With Plans for End of Life Care'. A research-based study and guide for professionals which clarifies the ethical and supportive approach to assisting individuals with End of Life Care decisions, based upon different types of critical illness and high-risk conditions, including terminally ill children and HIV-AIDS patients. The research has identified varying approaches to working with children and their parents, HIV-AIDS patients and partners, cancer patients, stroke and burn victims, nursing facility residents, etc.. Course 5J assesses the major 'risk factors' which can contribute to suicide attempts and suicide deaths of LGBT (a.k.a. GLBT) adolescents and young adults - including the internet, family and friend's history of suicide, harassment at school, rejection by family members, "coming out" to family members at an early age, etc.. The authors provide specific recommendations through MODEL PROGRAMS for ACTION to reduce the risk of suicide. The strategies are designed to be implemented with LGBT youth in schools, communities, screening programs, crisis lines, and gatekeeping clinics. When you are in a payment screen, PLEASE DO NOT click the purchase button more than ONCE! It may take a few moments to process your purchase. NEWLY REVISED FOR BOTH ETHICS AND CLINICAL ASSESSMENT CE CREDIT! This course earns 3 Clock Hours of CE Credit in either 'ETHICS' or 'ASSESSMENT and DIAGNOSIS', whichever you need. The course is pre-approved or automatically approved for 3 Credit Hours by multiple State and national mental health and addiction licensing and certification boards including Florida CE Broker, Alabama, and Texas, Texas TCBAP and TAAP, IC&RC, NAADAC, Florida Certification Board, and EACC for 3 total PDHs for Domains I, III (renewal effective April 10, 2018). The course also awards 3.0 California BBS CE Hours and 3.0 NBCC Credit Hours. This course is written, copyrighted and published by Marsha Naylor, MA, LPC and CEU by Net. To read about Ms. Naylor's experience and qualifications, please go to 'The Company' on this website's menu bar and click on 'About Us'. WHAT'S THIS COURSE ABOUT? It addresses the clinical errors which even seasoned professionals can and do make when assessing children and adolescents -- errors which can lead to professional, ethical, and legal problems for you, and treatment outcome problems for your client. Aside from the potential for clinical embarrassment if we make errors in the write-up of an assessment interview or an error in the diagnosis(es), most clinicians do not give much thought to the potential for legal, ethical or other professional repercussions which might result from these routine activities. Nor do they see the development of a treatment plan as a potential for trouble. Most professionals believe that such things as becoming sexually involved with a client or violating a client's confidentiality are the primary issues which present a potential for ethics violations. They don't realize that 'scope of practice' and 'professional competence' and 'acting in the best interest of the client' are common reasons why providers are disciplined for ethics violations and may be sued for malpractice in a court of law. Further, few realize that the most vulnerable activities which can lead to such allegations are ASSESSMENT, DIAGNOSIS, and TREATMENT PLANNING. Together, these clinical activities are the Achilles Heel for behavioral health providers. Furthermore, it’s a common assumption that if an assessment (any assessment), treatment plan (any treatment plan), and any reasonable diagnosis are “in the chart” that all is well. Local Program Managers may even audit their charts internally from that perspective. But this, too, has the potential for trouble. Think: ‘Professional Competence’ . . . ‘Ethics’ . . . ‘Scope of Practice’. This unique course lays bare the oftentimes overlooked 'traps' which even the most experienced clinicians fall into when assessing and diagnosing children and adolescents without a structured assessment format -- placing us at great LEGAL, ETHICAL, and PROFESSIONAL RISK if overlooked. The course presents a clear description of how such issues can arise when we ASSESS 'ON THE FLY', no matter how many years we have been in this business! Course 3C focuses upon the details of how to perform and DOCUMENT a professionally competent Biopsychosocial Assessment of Children and Adolescents (whether routine or emergency) without the LEGAL, ETHICAL, AND PROFESSIONAL vulnerability which can come back to haunt us long after the fact. Learn why the ETHICAL canons pertaining to Professional Competency, Acting in the Best Interest of the Client, and Scope of Practice are inseparable from how we go about assessing, diagnosing, and documenting treatment of children and adolescents. Many providers believe that in order to protect a client's confidentiality, the less said the better, when documenting his or her issues, history, diagnosis, and response to treatment. However, this is a misinterpretation of what is meant by 'client confidentiality'. In fact, structured, detailed assessments are essential to protect ourselves legally and professionally -- from an ETHICS perspective, a PROFESSIONAL COMPETENCE perspective, and a PROFESSIONAL LIABILITY perspective. And therefore in this course, we emphasize the need to avoid on-the-fly notations put to a 'yellow legal pad' when assessing and diagnosing children and adolescents, in favor of using a more formal, detailed, STRUCTURED BIOPSYCHOSOCIAL ASSESSMENT format. So where’s the ETHICS CONNECTION? The course clarifies the connection between (1) how effectively we perform the task of Assessment and Diagnosis of Children and Adolescents, and (2) the Ethical Standards of Practice – including both demonstration of Professional Competence within Scope of Practice, and responsibility to act in the best interest of the client. In this course we explain how and why the use of a structured assessment protocol [which addresses and integrates specific issues] is ultimately the only way to assure that we have complied with the PREVAILING STANDARDS OF PROFESSIONAL CARE which are applied to assessment and treatment of children and adolescents with mental health and SUDs issues. We must demonstrate in writing that we have met the ‘ETHICS’ expectation of ‘COMPETENCE’ to ASSESS and TREAT THIS particular child for THESE issues, and that your actions are consistent with the prevailing standards of care for the specific issues. The bottom line here: Assessment Course 3C addresses serious assessment ERRORS to avoid, which can result in ETHICAL AND LEGAL complications. Understand the legal and professional implications of (a) erroneous or ignored DIAGNOSIS(ES) and (b) failure to RESPOND appropriately to a client’s regression or failure to progress in treatment. This type of clinical thoroughness is particularly crucial when working with children and adolescents who present a potential for HARM TO SELF OR OTHERS. ADDED BONUS: Get FREE Downloadable prototype assessment forms for Biopsychosocial Assessment, and for Risk Assessment, which the user can tailor to his or her own needs if software to modify pdf documents is available. NOTE: It is important to note that all of the assessment forms within this training course are intended to serve as a prototypical RESOURCE from which users can extract or adapt content for their own programmatic use – including the development of screening instruments and electronic medical records. 1. Learn how the use of a structured Biopsychosocial Assessment format [which integrates all key assessment findings] is directly related to two key expectations of Ethical Practice -- i.e., 1) the mandate that we be professionally QUALIFIED to do the work (i.e., having appropriate training and a knowledge base in the specific treatment issues), and 2) the demonstration of professional SKILL or COMPETENCE consistent with the prevailing professional standards for Assessment and Treatment of the assessed youth's presenting issues. 2. Understand why assessing and diagnosing children and adolescents 'on the fly' without a structured Biopsychosocial Assessment format can result in ethical, legal and professional vulnerability and liability for the licensed professional. 4. Understand how inadvertent omission of clinical details can adversely impact the correctness of diagnosis and the details of the treatment plan - resulting in allegations of clinical incompetence. 5. Learn which omissions and errors in Biopsychosocial Assessment of Children and Adolescents most frequently result in legal and professional liability, in the event of an adverse treatment outcome. 6. Understand the need for extra sensitivity to potential or current LGBT issues with children and adolescents. 7.Understand the legal and professional implications of (a) erroneous or ignored DIAGNOSIS(ES) and (b) failure to DOCUMENT the client's response to treatment (whether it be progress, lack of progress, or regression) and (c) failure of the provider to APPROPRIATELY RESPOND to a client’s regression or failure to progress in treatment. 8. Learn how to spot your own flawed documentation patterns which lead to audit woes, ethical issues, and legal problems. 9. Understand the structure and details involved in performing a competent 'Assessment of Acute Risk' with children and adolescents. To view the document now CLICK HERE To view and print the QUIZ for free, CLICK HERE. This course is authored and copyrighted by CEU By Net and earns 3 Clock Hours of credit for multiple State Boards including Florida,Texas, and Alabama, IC&RC, NAADAC, and Florida Certification Board, and 3 total PDHs in Domains I, III for EACC renewing effective April 10, 2017. Also earns 2.25 NBCC Hours effective May 1, 2015 (taken prior to this date, it earns 3 NBCC Hours). Based upon these credentials, the course is accepted by most state boards for multiple licenses. This is a PDF document which can be viewed with Adobe Reader (and other pdf reader programs) on any device that can read PDF documents. You may view the full COURSE DOCUMENT and the quiz for FREE, before you decide if you want to enroll in the course to take the quiz. To view the document and the quiz, click the links at the bottom of this course description. This course is authored, copyrighted, and published by Marsha Naylor, MA, LPC, CEU By Net and Pendragon Associates LLC. What's this course about? Aside from the potential for clinical embarrassment if we make errors in the write-up of an assessment interview or an error in the diagnosis(es), most clinicians do not give much thought to the potential for legal, ethical or other professional repercussions which might result from these routine activities. Nor do they see the development of a treatment plan as a potential for trouble. This course focuses upon the details of how to perform and DOCUMENT a professionally competent Biopsychosocial Assessment of Children and Adolescents (whether routine or emergency) without the LEGAL, ETHICAL, AND PROFESSIONAL vulnerability which can come back to haunt us long after the fact. Learn why the ETHICAL canons pertaining to Professional Competency, Acting in the Best Interest of the Client, and Scope of Practice are inseparable from how we go about assessing, diagnosing, and documenting treatment of children and adolescents. Structured Assessments are essential to protect ourselves legally and professionally -- from an ETHICS perspective, a PROFESSIONAL COMPETENCE perspective, and a PROFESSIONAL LIABILITY perspective. And thus we explore the wisdom of foregoing on-the-fly notations put to a 'yellow legal pad' when assessing and diagnosing children and adolescents, in favor of using a more formal, STRUCTURED BIOPSYCHOSOCIAL ASSESSMENT format. In this course we explain how and why the use of a structured assessment protocol [which addresses and integrates specific issues] is ultimately the only way to assure that we have complied with the PREVAILING STANDARDS OF PROFESSIONAL CARE which are applied to assessment and treatment of children and adolescents with mental health and SUDs issues. We must demonstrate in writing that we have met the ‘ETHICS’ expectation of ‘COMPETENCE’ to treat THIS child for THESE issues, and that your actions are consistent with the prevailing standards of care for the specific issues. 2. Understand why assessing children and adolescents 'on the fly' without a structured Biopsychosocial Assessment format can result in ethical, legal and professional vulnerability and liability for the licensed professional. 3. Learn which omissions and errors in Biopsychosocial Assessment of Children and Adolescents most frequently result in legal and professional liability, in the event of an adverse treatment outcome. 5. Understand the need for extra sensitivity to potential or current LGBT issues with children and adolescents. 6. Understand the legal and professional implications of (a) erroneous or ignored DIAGNOSIS(ES) and (b) failure to RESPOND to a client’s regression or failure to progress in treatment, and (c) failure to document the response. 7. Learn how to spot your own flawed documentation patterns which lead to audit woes, ethical issues, and legal problems. 8. Understand the structure and details involved in performing a competent 'Assessment of Acute Risk' with children and adolescents. Course 5N - Growing Up Girl - Girls Matter! Course 5N - Growing Up Girl - Girls Matter! [5 Clock Hours of CE Credit]. This course is sponsored online by CEU By Net and earns 5 Clock Hours of credit for multiple State Boards including Florida, Texas, and Alabama, TCBAP-TAAP, IC&RC, NAADAC, and Florida Certification Board, and 5 PDHs Domain III for EACC. It also awards 3.5 CA BBS Hours as of 10.01.15 and 5.0 before, and 3.5 NBCC Hours as of 05.01.15 and 5.0 before. Based upon these credentials, course is accepted by most state boards for multiple licenses. NOTE: For those who are dependent upon NBCC Credit Hours and would like more than 3.5 NBCC Hours of credit for this course: We will soon post 4 of the original SAMHSA digital videos online as a separate course, which will allow you to earn 5 NBCC Hours of CE credit. The course materials were authored, copyrighted, and published in the public domain by SAMHSA in collaboration with multiple other federal authorities (including CSAT and CMHS) and several nationally recognized experts in adolescent mental health and psychosocial development. The individuals responsible for each of the major sections are acknowledged within the course materials, including contact information. FOR DETAILS ABOUT EACH PRESENTER, FOR THE INDIVIDUAL STUDY GUIDES, PLEASE CLICK THE + SIGN BELOW, AT THE BOTTOM OF THIS DESCRIPTIVE OVERVIEW. These materials were presented online by SAMHSA in the form of a webinar series entitled "Girls Matter! ", with live speakers, from February through June of 2014. SAMHSA's stated purpose: "SAMHSA has created this webinar series to ..... provide research, best practice and critical thinking on the topics that professionals working with girls and young women must know .... to increase the behavioral health workforce’s understanding of the needs and concerns of adolescent girls (primarily ages 12-18), and to bring visibility and attention to the specific behavioral health concerns of adolescent girls." Further, "Each session addresses a key area of what matters to adolescent girls today—including challenges, opportunities, and strategies for supporting girls." A sixth webinar took place the end of July 2014 and will form the basis for a separate course on this website. -- The issue of self injury as a concomitant of self image and loss of control within a social milieu. -- Effective treatment alternatives when girls are in crisis. There are extensive validating research references and footnotes contained within the course materials. THIS IS A 'QUIZ ONLY' COURSE. This sponsored course is FREE to READ, SAVE, AND PRINT. Enroll in the course on this website if you want to take the quiz for a 5 Clock Hour Certificate from CEU By Net. There are 5 sections in this course (Study Guides 1, 2, 3, 4, and 5). There is a quiz for each of the five Study Guides. You must complete and pass all of the five quizzes AND the Feedback Form, in order to obtain your certificate for 5 Clock Hours of CE Credit. • Know the typical and atypical developmental trajectories for adolescent females. • Understand the role of peer pressure and family relationships upon the psychosocial development of girls, in the context of today's social and cultural environment. • Know what it means to be a “digital native”, and understand how social media is changing the ways girls connect and relate - including risky and unhealthy technological behaviors. • Recognize the risks for development of behavioral health problems (depression, suicide, self-harm, binge eating, and aggression) in female adolescents. • Understand the concept of the 'Triple Bind', and how it impacts today's adolescent girls. • Know the key issues in development and treatment of self-injurious behavior, as a concomitant of self image and loss of control within a social milieu. • Know current substance use trends and concerns for adolescent girls, and become familiar with resources for girls with SUDs issues, including recovery schools, family interventions, and the Voices Program approach. • Become familiar with 'GENDER-RESPONSIVE' and 'TRAUMA-INFORMED' program design and treatment which are applicable to girls in crisis - particularly those who have experienced sexual and relationship abuse and violence. • Know effective interventions and programming for young women, including * the fostering of resiliency and empowerment, * the provision of effective treatment alternatives when girls are in crisis, * some technological advances in behavioral health and recovery support, and * the principles for establishing safe and nurturing program environments. Dr. Anglin is Chief of the Adolescent Health Branch at the Health Resources and Services Administration, Maternal and Child Health Bureau, Department of Health and Human Services, where she has worked since 1996. The Adolescent Health Branch provides national leadership in promoting the health, development, safety, and social and emotional well-being of all school-aged children, adolescents, and young adults in the United States. Dr. Miller is Chief of Adolescent Medicine at Children’s Hospital of Pittsburgh of UPMC and Associate Professor of Pediatrics, University of Pittsburgh School of Medicine. Her research focuses on the impact of gender-based violence on young women’s health. She currently heads a Centers for Disease Control and Prevention-funded sexual violence prevention program study as well as National Institutes for Health-funded studies on partner violence intervention in the reproductive clinic setting. Dr. Miller is involved in projects to reduce gender-based violence and improve adolescent girl and young adult women’s health in India and Japan. Dr. Hinshaw is Professor of Psychology at University of California (UC) Berkeley. He received a BA from Harvard and a doctorate in clinical psychology from UCLA. His work focuses on developmental psychopathology. Dr. Hinshaw has authored more than 275 articles and books, including The Triple Bind: Saving our Teenage Girls from Today’s Pressures (Random House, 2009), The Mark of Shame: Stigma of Mental Illness and an Agenda for Change (Oxford, 2007), and The ADHD Explosion: Myths, Medications, Money, and Today’s Push for Performance (Oxford, 2014). He also is the editor of Psychological Bulletin. Wendy Lader, Ph.D., M.Ed., is President and Clinical Director of the S.A.F.E. ALTERNATIVES Program, founded in 1986 to address deliberate self-harm behavior. She has a doctorate in clinical psychology from Nova University and an M.Ed. in special education from Lesley College. She is an international speaker on self-injury, and highly regarded as an expert in the field. She is co-author, with Karen Conterio, of the book Bodily Harm: the Breakthrough Healing Program for Self-Injurers (Hyperion, 1998). Ms. Thompson has identified as a young person in recovery for more than nine years. She was a founding member of Young People in Recovery (YPR) in 2010 and serves on the Boards of Directors for the Association of Recovery Schools and Connecticut Turning to Youth and Families. Ms. Thompson has a B.A. in sociology and metro urban studies, an M.A. in educational leadership, and an M.A. in marriage and family therapy from University of Connecticut (UConn). She is currently pursuing her Ph.D. in human development and family studies at UConn, where she works in the Department of Wellness & Prevention Services coordinating efforts for the UConn Recovery Community. Candice Norcott, Ph.D. Licensed Clinical Psychologist Norcott is a Licensed Clinical Psychologist. Currently, she coordinates the behavioral science curriculum for a Family Medicine Residency Program and provides outpatient psychological services in community settings. Before this role, Dr. Norcott coordinated the girls’ mental health services at the Cook County Juvenile Detention Center. Dr. Norcott has a BA from Brown University, a doctoral degree from the University of Connecticut, and received her pre- and post-doctoral training from Yale University’s School of Medicine. Dr. Norcott is a certified training associate for Dr. Stephanie Covington. In this role, she provides training workshops nationally for Dr. Covington’s girls’ program, Voices. Dr. Norcott has conducted these workshops in a variety of settings including programs aimed at adolescent substance abuse, juvenile probation, and mental health treatment. Ms. Amatetti is a Senior Public Health Analyst for the Substance Abuse and Mental Health Services Administration (SAMHSA) Center for Substance Abuse Treatment (CSAT) and the SAMHSA Women’s Issues Coordinator. She is responsible for ensuring that women and family issues are coordinated throughout SAMHSA and with other federal agencies. Ms. Amatetti manages an interagency agreement with the Administration on Children, Youth, and Families to advance cross-system coordination, which includes developing and managing a National Center on Substance Abuse and Child Welfare. Ms. Amatetti serves as the CSAT coordinator for the State Women Services Coordinators, the SAMHSA National Conference on Behavioral Health for Women and Girls, and the Women’s Addiction Service Leadership Institute (WASLI). She has a BA from Georgetown University and an MPH from the University of California-Berkeley. Dr. Finch is Associate Professor of the Practice of Human and Organizational Development at Vanderbilt University. He is a co-founder of the Association of Recovery Schools. Among his published works are Starting a Recovery School and Approaches to Substance Abuse and Addiction in Educational Communities: A Guide to Practices that Support Recovery in Adolescents and Young Adults, of which he was a co-editor. For nine years, Dr. Finch worked for Community High School in Nashville, one of the early schools for teens recovering from alcohol and other drug addictions and a school he helped design. Dr. Rowe is Research Associate Professor of Public Health Sciences at the University of Miami Miller School of Medicine’s Center for Treatment Research on Adolescent Drug Abuse (CTRADA). Since 1994, she has contributed to the Center’s work focused on refining, testing, and disseminating family-based interventions for adolescents with substance use disorders and related problems. She works with her colleagues to promote the translation of research findings into practice and to train providers to implement Multidimensional Family Therapy (MDFT). She has served as primary investigator and co-primary investigator of several National Institutes of Health grants examining the effects of MDFT with different clinical populations in a range of settings. She was also co-primary investigator of a multisite randomized controlled trial of MDFT in five countries in Europe. She has been a peer reviewer of health services research grants for NIH and has contributed to research and clinical publications, as well as a comprehensive volume on adolescent substance abuse treatment research. Ms. Simmons authored The New York Times bestsellers Odd Girl Out: The Hidden Culture of Aggression in Girls, which was adapted into a highly acclaimed Lifetime television movie, and The Curse of the Good Girl: Raising Authentic Girls with Courage and Confidence. As an educator, she works internationally to empower young women to be more authentic, assertive, and self-aware. She currently develops leadership programs for undergraduate women at the Center for Work and Life at Smith College, and co-founded the Girls Leadership Institute. Ms. Simmons hosted the recent PBS television special A Girl’s Life and is a contributing writer for TeenVogue. She has appeared on Oprah and the Today show, and appears regularly in the national media. She is a Vassar graduate and Rhodes Scholar. Ms. Tarino is a Public Health Advisor for the Substance Abuse and Mental Health Services Administration (SAMHSA), U.S. Department of Health and Human Services. For SAMHSA, she manages a Targeted Capacity Expansion—Technology Assisted Care grant portfolio. This program enables the implementation of health information technology into substance abuse treatment. Before joining SAMHSA, Ms. Tarino was a Resident Assistant at the Rutgers Recovery House for students in recovery from alcohol and other drugs. She has a BA in political science from Rutgers. Dr. Covington is a nationally recognized clinician, author, organizational consultant, and lecturer. She is a pioneer in the field of girl's and women's issues, addiction, and recovery. Dr. Covington is co-director of the Institute for Relational Development and the Center for Gender and Justice. She has developed an innovative, gender-responsive, and trauma-informed approach to the treatment needs of women and girls that results in effective services in public, private, and institutional settings. She is the author of several books, articles, research studies and curricula including Voices: A Program of Self-Discovery and Empowerment for Girls and Beyond Trauma: A Healing Journey for Women. Ms. Pai-Espinosa serves as the President of the National Crittenton Foundation, a 130-year-old institution that serves as the national umbrella for the 27 members of the Crittenton family of agencies providing services in 32 states and the District of Columbia. Ms. Pai-Espinosa has more than 35 years of experience in advocacy, education, intercultural communication, public policy, strategic communication, program development, and direct service delivery. She is currently Chair of the National Foster Care Coalition, Co-Director of the National Girls Institute of the Department of Justice Office of Juvenile Justice and Delinquency Prevention, and a member of the Board of Directors of the Human Rights Project for Girls. Kimberly Sokoloff Selvaggi — TaylorLane Consulting, Living in Safe Alternatives, Inc.
Kimberly Sokoloff Selvaggi is an experienced lecturer, trainer, consultant and technical assistance provider. She is currently the Executive Director for Living in Safe Alternatives. Ms. Selvaggi is president of TaylorLane Consulting and is co-author of the Trauma Informed Effective Reinforcement System (TIER) for Girls, which offers a comprehensive, gender-responsive program model for residential programs and facilities; La Mariposa, a personal empowerment program for girls; and SPEAK Up! Youth-Led Advocacy Program for Girls. Ms. Selvaggi was recently named Executive Director at Living in Safe Alternatives, Inc. which provides independent living, group homes for girls, and community based life skills programs for system-involved youth. • Development and treatment of self-injurious behavior as a concomitant of self image and loss of control within a social milieu. This Study Guide 3 focuses upon substance abuse and addiction in today's adolescent females. Covers current substance use trends and concerns for adolescent girls, and empirically based resources for girls with SUDs issues, including recovery schools, family interventions, and the Voices Program approach. This Study Guide 4 focuses upon the impact of the internet upon the emotional development, mental health status, and emotional wellbeing of female adolescents. Know what it means to be a “digital native”, and understand how social media is changing the ways girls connect and relate - including risky and unhealthy technological behaviors. This Study Guide 5 focuses upon the development of effective treatment alternatives when girls are in crisis, and how to provide them with sanctuary and support. Addresses 'GENDER-RESPONSIVE' and 'TRAUMA-INFORMED' program design and treatment which is applicable to girls in crisis - particularly those who have experienced sexual and relationship abuse and violence. Emphasis is upon programming which supports * the fostering of resiliency and empowerment, * the provision of effective treatment alternatives when girls are in crisis, * some technological advances in behavioral health and recovery support, and * the principles for establishing safe and nurturing program environments. This practical research-based publication is sponsored by CEU By Net and is approved and/or pre-approved for 3.5 Clock Hours of continuing education credit by multiple State Boards including Texas, Florida, and Alabama, and by TCBAP-TAAP, NAADAC, IC&RC, Florida Certification Board, and approved for 3.5 PDHs Domain III by EACC. It also awards 2.5 CA BBS Credit Hours and 2.5 NBCC Credit Hours. In addition to a clear research-based description of the impact of both illicit and misused prescription drugs on the developing adolescent brain (including marijuana), the course includes an extensive analysis of the intervention approaches which work – including several types of short term counseling with the entire family. This course is therefore quite appropriate for all Addiction and Mental Health service providers working with adolescents who are experiencing or at risk for the entire spectrum of Substance Use Disorder (SUD) - from early experimentation to addiction. .
"Historically the focus with adolescents has tended to be on steering young people clear of drugs before problems arise. But the reality is that different interventions are needed for adolescents at different places along the substance use spectrum, and some require treatment, not just prevention. Fortunately, scientific research has now established the efficacy of a number of treatment approaches that can address substance use during the teen years. 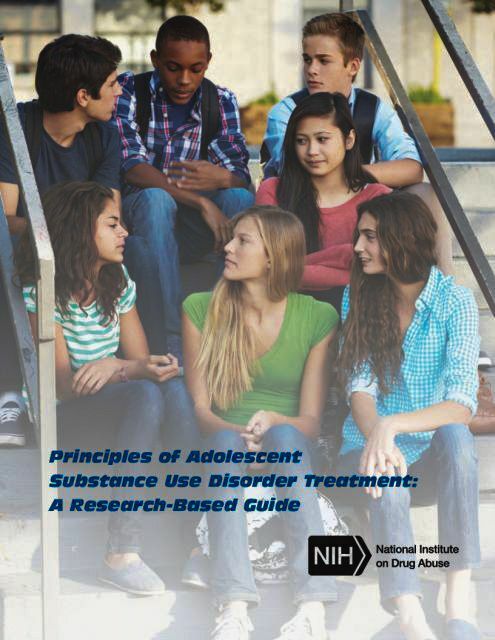 This guide describes those approaches, as well as presents a set of guiding principles and frequently asked questions about substance abuse and treatment in this age group." 1. Know the principles to consider in assessing, diagnosing, and treating adolescent substance use disorders and the therapeutic components to be included - including intensive involvement of the family. 2. Understand the unique status of the developing adolescent brain, and the biochemical connection between this stage of NEUROLOGICAL development and DRUG-SEEKING, RISK-TAKING BEHAVIORS. 3. Know and understand why there is a physiologically detrimental impact of substance use upon adolescent brain structures and critical neural pathways. 4. Recognize the realities of adolescent drug use, including the social and cultural issues which inherently complicate treatment for adolescent SUDs. 5. Understand why abusing drugs during adolescence can interfere with effectively meeting crucial social and developmental milestones, and can also compromise cognitive development. 6. By category of drug, know the specific dangers, attractions, and potential for adolescent addiction - including the personality, social, and familial characteristics which affect vulnerability. 7. Considering the special treatment needs for youth ages 12 to 17 and the intrinsic role of family dynamics in the process: Know the most effective evidence-based approaches to adolescent SUD assessment and treatment - including the most effective forms of family-based treatment. Aside from Nora D. Volkow, MD, these additional professionals are cited for their contribution to the development of this publication: Tina Burrell, M.A., Washington State Department of Social and Health Services, Connie Cahalan, Missouri Department of Mental Health, Barbara Cimaglio, Vermont Department of Health, Michael L. Dennis, Ph.D., Chestnut Health Systems, Rochelle Head-Dunham, M.D., Louisiana Department of Health and Hospitals, Scott W. Henggeler, Ph.D., Medical University of South Carolina, Sharon Levy, M.D., M.P.H., Children’s Hospital Boston, Kenneth J. Martz, Psy.D., CAS, Pennsylvania Department of Drug and Alcohol Programs, Kathy Paxton, M.S., West Virginia Bureau for Behavioral Health and Health Facilities, Paula D. Riggs, M.D., University of Colorado School of Medicine. This is a self-paced course. Although you must access it online, you may save and print the course document and a copy of the quiz for FREE, before making a decision to enroll in the course. You may print and study the materials offline, if you prefer, although the interactive quiz MUST be taken online, logged into your account. To view and print the study materials and the quiz for FREE, CLICK ON THE + SIGN BELOW, and click the links for a preview. When you have enrolled in the course, you will find these same links inside your account, to re-access the course materials and to print and TAKE THE ONLINE QUIZ. As required by some of our certification boards, this is an open-access website. That means that you may read all of the course materials presented on this website and the quizzes for FREE - whether you decide to register and enroll in courses, or not. You may also download and print 85% of the courses on the site for free before registering or enrolling. You pay only if you wish to enroll in courses and take quizzes to earn certificates. You may buy an Annual Subscription for $54.95 and take unlimited courses on this website at no additional charge, for an entire year. This course material is comprised of one online downloadable text document (i.e., the study guide) in a PDF format, and one online quiz. As an unscored 'pre-test' or practice quiz, we recommend that you print a COPY of the quiz before beginning to read the document, and mark answers to our questions on the paper copy as you work through the course. When you are ready to take the quiz, be sure that you are logged into your account, and take the quiz online. If you fail to get 75% of the answers correct, you can retake the quiz. When you have passed it, we give you immediate FEEDBACK (on your screen) as to which questions you missed, and the correct answer to the question(s) you missed, and the answer(s) which you gave. It's INTERACTIVE!! This course – Ethics Course 4B: 'Rights of Persons Living with Serious Mental Illness and Co-Occurring Substance Use Disorders - Our Ethical and Practical Responsibilities' – is sponsored online by CEU By Net and earns 4.25 Clock Hours of credit for multiple State Boards for Mental Health and Addiction, including Florida, Texas, and Alabama, TCBAP-TAAP, and Florida Certification Board. The course also awards 3.0 California BBS Hours and 3.0 NBCC Hours. 4.50 Total PDHs Domains I, III are approved by EACC, effective 11-13-2018. Based upon these credentials, the course is accepted by most state boards for multiple licenses. See our Addiction Course Catalog for our IC&RC and NAADAC approved Status. CEU By Net sponsors this course online for Continuing Education credit. The training document is authored by the National Alliance on Mental Illness (NAMI), and was published in the public domain in December 2015, as the 11th Edition of their Public Policy Platform. The platform addresses the ETHICAL and PRACTICAL RESPONSIBILITY of licensed, certified, and allied professionals to help individuals with serious mental disorders including SUDs to achieve recovery and resiliency in their lives, and to be assured the SAME RIGHTS that are accorded to persons without mental disorders. These materials clearly reflect NAMI's commitment to the principles of recovery and resilience, and the RIGHT of individuals to be intrinsically involved in the planning and review of their own treatment, including medication. The ethical and professional responsibility to protect the individual's rights in the treatment process - and to reduce the stigma and discrimination associated with mental illness and co-occurring SUDs - are addressed throughout the document. CEU By Net has included the substantial majority of the document as it is published by NAMI, for purposes of this online CE course. The situational content addresses the circumstances of adults, children, and families who are in crisis or involved in active treatment, as well as those involved with the judicial system, or in a formal educational environment. The oftentimes discriminatory use of seclusion, restraint, solitary confinement, and weapons of force are addressed, including the appropriate use and the negatives of each. The NAMI platform also addresses the rights and circumstances of underserved populations who are living with mental illness, e.g. people who are difficult to engage in treatment, the homeless, those involved in the criminal justice system and/or veterans or military personnel. NAMI repeatedly asserts that individuals with serious disorders have the right to INTEGRATED mental health, addiction, and physical health treatment. This approach to treatment is consistent with the requirements of the Affordable Care Act (ACA). Assuring integrated health care for one's clients with serious mental disorders is in keeping with the ETHICAL responsibility to act in the BEST INTEREST of the client. Issues of the handling of mental illness and co-occurring addiction in the judicial system are also addressed in some detail - including the varying positions of the States in the application of the death penalty vis-à-vis persons with mental illness. NAMI is clear that when viewing the rights that should be accorded to persons with serious mental illness and co-occurring disorders within the judicial system, mental illness must not be confused with sociopathic behavior. The course is appropriate for Social Workers, Mental Health and AOD Counselors and Therapists, LMFTs, School Counselors, Psychologists, EAP counselors, teachers, law enforcement professionals, and all allied professionals who serve children, adolescents, and adults with serious mental illness and co-occurring substance use disorders. This is a 'QUIZ ONLY' course. You may read and print the study material (i.e., the Study Guide) AND A COPY of the quiz for FREE, before you decide to enroll in the course, if you wish. Just click the little plus + sign at the end of the description and click the link to the course material (Study Guide) and a copy of the quiz. You may also save this course material to your computer, and work off-line if you choose. You ENROLL in the course ONLY IF you wish to take the quiz to obtain your instantly downloaded CEU certificate. 1. Become aware of NAMI's core principles of professional responsibility, including protection of individuals from stigma and discrimination, the support of their right to recovery and resiliency in their daily lives, and their right to be intrinsically involved in planning and review of their own mental health and/or SUDs treatment. 2. Know the ethical and practical responsibilities of licensed, certified, and allied professionals in specific treatment, crisis, educational, and law enforcement situations involving persons with serious mental illness including co-occurring substance use disorder. 3.. Understand what is meant by the INTEGRATION of physical health, mental health and addiction treatment. Know how it is best implemented with persons living with serious mental illness and co-occurring SUDs, and how it relates to our ETHICAL requirement to act in the BEST INTEREST of the client. 4. Become aware of the inappropriate and discriminatory use of certain interventions used to 'control' individuals with mental illness and co-occurring SUDs - including restraint, seclusion, and solitary confinement - and the effective, acceptable alternatives. 5. Learn NAMI's view of the rights and accommodations that should be accorded to persons with serious mental illness and co-occurring substance use disorders within the judicial system, vs. the handling of individuals with sociopathic behavior. 6. 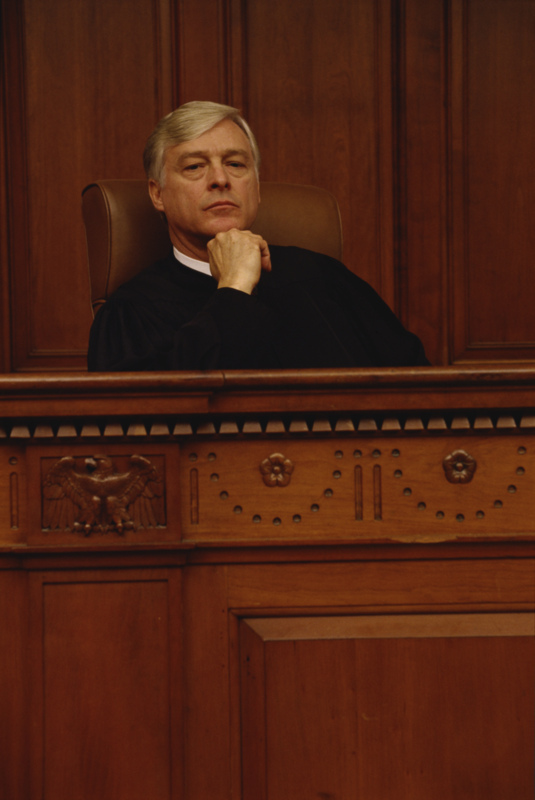 Understand the differing ways that States handle mental illness and co-occurring addiction in the judicial system, including the varying positions of the States in the application of the death penalty to persons with mental illness. This course is sponsored by CEU by Net and is approved and/or pre-approved or automatically approved for 2 credit hours by multiple State Boards including Texas, Alabama, and Florida, TCBAP-TAAP, IC&RC, NAADAC, and Florida Certification Board. EACC awards 2 Total PDHs in Domains I, III effective April 10, 2018. Course also awards 1.25 CA BBS Hours as of 10.01.15 and 2.0 before, and 1.25 NBCC Hours as of 05.01.15 and 2.0 before. This sponsored course is both an ETHICS course and a COUNSELING INTERVENTION course for working with cancer patients, AIDS patients, stroke patients, terminally ill children, and others who are coping with End of Life Issues. Say the authors, "Predicting what treatments patients will want at the end of life is complicated by the patient’s age, the nature of the illness, the ability of medicine to sustain life, and the emotions families endure when their loved ones are sick and possibly dying." As with all of our courses, you can read the course material and print the quiz for FREE before you decide to enroll in the course. 90% of our course material may also be printed in advance, before or after you make a decision to enroll. Study off-line if you like, and take the quiz online to obtain your INSTANTLY DOWNLOADED CERTIFICATE. The course document is published in the public domain and is accessed free of charge. It is a RESEARCH-BASED publication of the federal Agency for Healthcare Research and Quality (AHRQ), written by Barbara L. Kass-Bartelmes, M.P.H., C.H.E.S., and Ronda Hughes, Ph.D..
Why can this course be counted EITHER as a treatment intervention course or an ethics course? Because the issue of counseling dying or gravely ill or at-risk people and their families regarding their decisions for End of Life Care (Advance Directives) is fraught with both ETHICAL and INTERVENTION issues. The counselor is assisting individuals and families in making a decision about the care they will receive (or not receive) in the final stages of terminal illness or injury. Choices they need to make include DNR (Do Not Resuscitate) or 'IV hydration but no IV nourishment', or 'maintain fluids and nourishment indefinitely' or 'no mechanical respiration' vs. 'all life support measures possible', and the like. Such counseling assistance is a delicate matter, and can be difficult for counselors to carry out without inadvertently inserting their own biases into the intervention. This is an ethics issue which also affects the counseling approach. This course teaches a specific research-based method to avoid such conflicts. The main issue in working with people who are seriously ill is, how far do you want medical personnel to go, to delay death? AIDS patients differed significantly from other ill patients, in several areas. There are also circumstances in which the reaction of the patient to discussing such issues varies significantly, depending upon the specific illness and age of the individual - including the reaction of terminally ill children. The research therefore calls upon Behavioral Health and other medical professionals to tailor the approach according to the illness and the situation, i.e., HIV-AIDS vs Cancer vs Stroke vs. Alzheimer's .... and impending death vs. uncertainty of when death will occur. The course document provides a ‘FIVE-STEP APPROACH to helping clients and families or partners to reach a decision about End of Life treatment preferences. The approach is a 'KNOWLEDGE FRAMEWORK’ and a 'GUIDELINE' for working with individuals with differing medical issues and life circumstances including AIDS -- and to do it ethically. Specifically, the research included discussion with patients of various conditions which they could face when he or she nears the end of life, including severe pain, severe stroke, permanent coma, etc.. The patients were then asked to indicate which of these circumstances they would consider worse than death, i.e., under which conditions they would NOT want measures to be taken to prolong life. AIDS patients differed significantly from other ill patients in not wanting to prolong life under these circumstances. Clients/Patients may be residents of nursing facilities, hospitals, hospice, or any other location where end of life is an issue - including those still living at home who have chronic diseases such as cancer, kidney failure, CHF, and HIV/AIDS -- where there is considerable uncertainty about when death is likely to occur. This course is also helpful for those providers who work with HEALTHY individuals who work in life-threatening situations including MILITARY deployment to war zones, police officers, firemen, SWAT teams, undercover agents and other such at-risk occupations. The AHRQ is an agency of the US Department of Health and Human Services. This free internet-accessible publication is authored by Barbara L. Kass-Bartelmes, M.P.H., C.H.E.S., and Ronda Hughes, Ph.D.
To READ and PRINT the online article and the quiz for free, just click the + sign below this summary. 1. Learn the terms pertaining to individuals' and surrogates' LEGAL RIGHT to make 'End of Life' care decisions. 2. Develop an awareness of the research-verified need for clearer documentation and communication of patients' and surrogates' preferences for End of Life Care within the clinical record and in the direct communication provided to the treating physician and other caretakers. 3. Understand the THERAPEUTIC BENEFITS and the ETHICS of engaging in discussions about ‘end of life preferences‘ with applicable clients and their partners, spouses, families or surrogates (representatives). 4. Know that decisions about Advance Directives are important at multiple stages of proximity to death -- whether planning for an imminent end of life (as with late-stage AIDS patients and other critically ill people), or adjusting to a diagnosis of serious or critical illness, or coming to terms with the risk of critical injury in high-risk employment (military, law enforcement, etc.). 5. Learn that the choices for End of Life Care vary significantly, depending upon the specific type of life-threatening illness and related factors -- including the choices most often made by AIDS patients which limit or rule out medical interventions to prolong life vs. the choices made by other patients with a different illness. 6. Learn a five-part, research-supported PROCESS for structuring discussions about End of Life preferences, which inherently supports our ETHICAL RESPONSIBILITY for assuring the welfare and legal rights of the client. This publication is dated 2003. However, the AHRQ considers this document to be nevertheless highly relevant to the subject at hand, when compared to other documents available within their research library and available elsewhere on the internet. This article is listed 3rd on the list of 261 AHRQ publications on this topic when most recently reviewed.